2 ISLANDS IN ONE DAY! 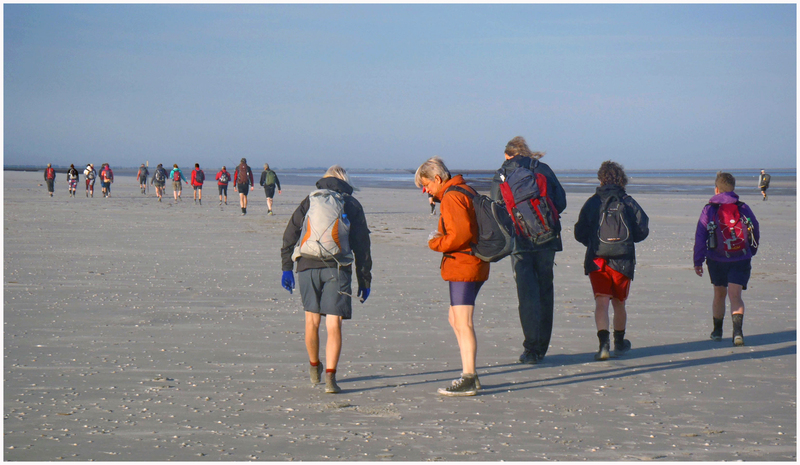 Early morning, we start a mudflat hiking tour to Simonszand (have a look for information on the trip to Simonszand). From this little island, a boat brings us to the Eastern point of Schiermonnikoog. From the Balg, a huge sandbar on the East side of Schiermonnikoog, we hike over the beach in about 3 hours to a restaurant called “De Marlijn”. By bus we return to the (fishing) boat, which sails to Lauwersoog at the end of the afternoon after a break of several hours in the village. From Lauwersoog transportation is available to bring us back to our own cars.